As consumers, we tend to overlook the technology that surrounds us today. Take, for instance, the trigger on your game controller. You’re playing as an archer, and the trigger mimics the action of using a bow and arrow. To draw the bow you depress the trigger, and depending on the shot, you have to squeeze the trigger with varying intensity levels. Although you can’t see it, there is technology in the controller to determine the trigger position and direct the game to carry out the corresponding action. For many years, position measurement applications like video game controllers have used Hall effect sensors. These small and affordable solutions are simple to implement and allow you to monitor moving objects within your systems. Magnetic flux density is higher close to the magnet. The magnet material affects the remanence, which scales the generated magnetic flux density. 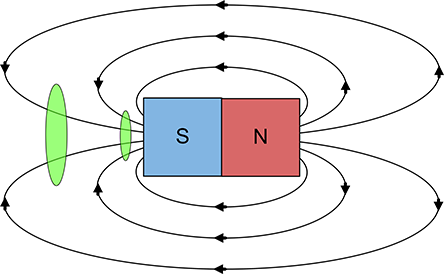 Physically larger magnets have a slower drop-off rate of flux density than smaller magnets. Hall effect sensors are usually separated into three main groups: Hall effect latches, Hall effect switches and linear Hall effect sensors. Hall effect latches are digital-output sensors that require alternating north and south magnetic poles (often in the form of a ring magnet) and are common in rotary applications. Hall effect switches are also digital-output sensors and can detect the presence or absence of a magnetic pole. An example application for a Hall effect switch would be to detect the open and closing of a laptop lid so that it will know when to go to sleep or wake up. Even though switches and latches are widely popular and great for simple position measurement, they can only detect the presence or absence of a magnetic field above a specified magnetic flux density. Linear Hall effect sensors provide an analog output that’s proportional to the magnetic flux density, which enables precise position measurements. They can be particularly useful in automotive position sensing applications such as measuring the angle of side mirrors. When there are multiple drivers for one vehicle, the preset button that allows each driver to have the seat and mirrors automatically adjust to them becomes quite handy. Linear Hall effect sensors can be used to measure the angles of the side mirrors and adjust the mirrors according to the pre-defined settings. In addition to automotive electronics, linear Hall effect sensors are used in a wide variety of industrial applications. E-meters can use linear Hall effect sensors for mechanical tamper detection to prevent the theft of power. Sensors in the meter box detect magnets embedded in the cover to ensure that the meter is always securely closed. But why use a linear Hall effect sensor instead of a simple Hall effect switch? As I mentioned before, Hall effect switches provide either a high or low output depending on the detection of a magnetic flux density higher than the specified threshold (shown in Figure 2). Switches work in saturation and will yield the same output. So if someone decides to place a large magnet in front of the sensor while removing the case, the switch will still output that it detects a magnet, falsely suggesting the cover is still securely in place. 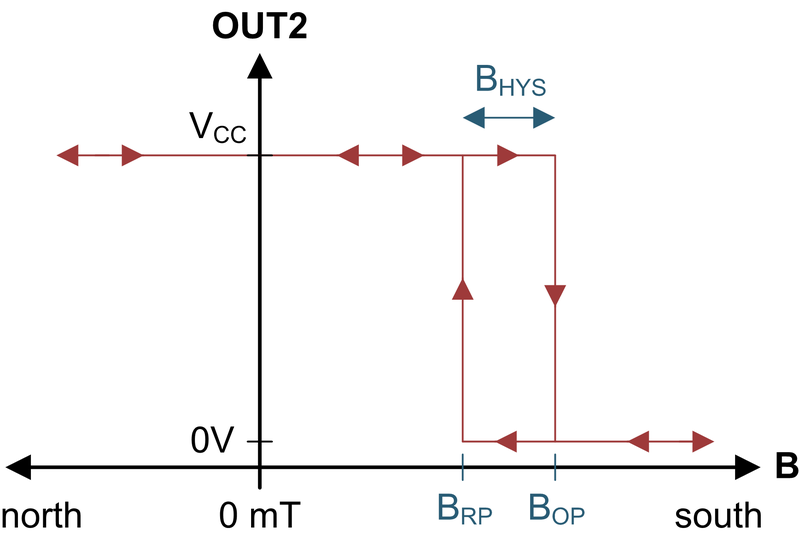 However, a linear Hall effect sensor associates a unique voltage range with the magnet at the distance of the initial design. Any changes in the magnetic field and/or distance will change the voltage output, which will trigger that something is wrong. 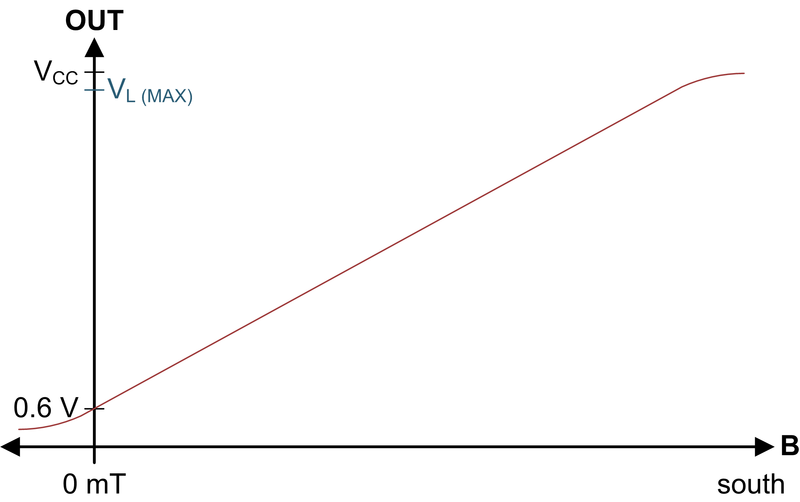 Thus, using a linear sensor provides a significantly more robust solution for tamper detection. Linear Hall effect sensors are useful in a wide range of applications, as they provide a contactless, reliable and accurate way to measure physical position and movement. TI’s new linear Hall effect sensor family offers bipolar measurement with analog output (DRV5055), unipolar measurement with analog output (DRV5056) and bipolar measurement with pulse-width modulation output (DRV5057). The DRV5055 detects both the north and south magnetic poles and outputs a voltage corresponding to the detected magnetic flux density. The DRV5056 responds linearly to the south magnetic pole incident to the top side of the package. This enhances the resolvable accuracy by providing double the voltage range per change in magnetic field. 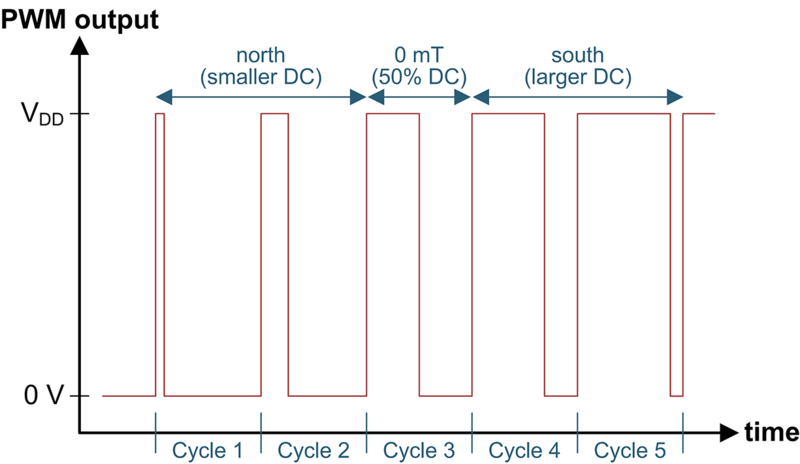 The DRV5057 outputs a 2kHz clock that varies its duty cycle depending on the magnetic flux density it reads. This device is immune to voltage noise and enables more robust transmissions over distance, while also providing a constant signal to verify that the device is powered and operational. TI’s magnetic Hall effect sensors are known for robust durability and dependable operation for any position sensing application. Whether simply measuring head-on and linear travel or performing complex motor commutation and precise position measurement, TI's linear Hall effect sensors will reliably and accurately sense the position in any system. 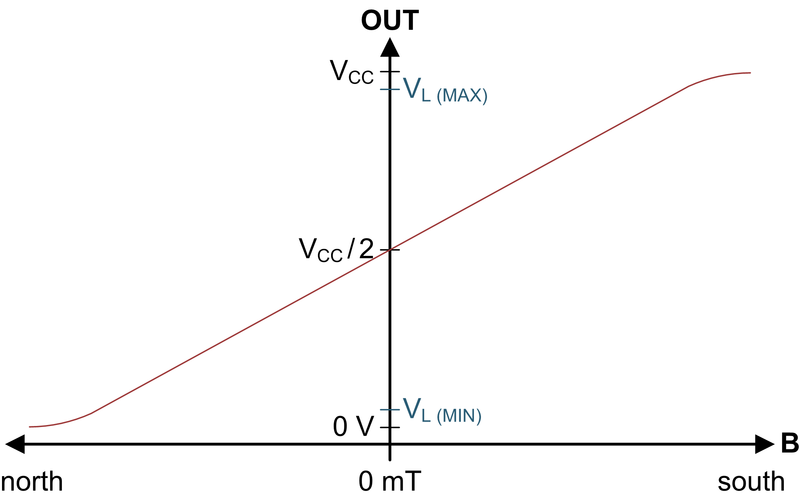 Read the application note, “Linear Hall Effect Sensor Angle Measurement Theory, Implementation, and Calibration,” about the use of linear Hall effect sensors for angle measurement. Check out the Hall effect training video series. Learn more about other Hall effect sensors from TI.